It’s January, which means millions of people are looking to shed unwanted pounds. Gym memberships have been bought, diets have been started, and resolutions are in full swing. These are all the things determined to make this year THE year to finally lose weight and keep it off for good. That’s over three decades of failure, enough to make anyone want to quit even before getting started. All hope is not lost though. What we need to do is re-evaluate how we approach weight loss in the first place. We can’t keep doing the same thing and expect different results. Two major flaws plague today’s status quo weight loss programs. First, many people’s goal is simply to lose weight and nothing else. Unfortunately, health is not at the forefront of their efforts to lose weight. This is a major problem. Why? Because there are many ways to lose weight, and not all of them improve health. Some may actually lead to worse health. For example, an overweight person can lose weight by taking up the habit of smoking methamphetamine. A crystal meth drug addict is never overweight, at least not after perfecting his/her habit in the long term. Becoming an addict can guarantee you weight loss. It can also guarantee you a chance at becoming psychotic, suffering seizures and cardiac arrhythmias, and trying to escape death due to a heart attack or stroke.3 Not exactly what one would desire for their weight loss efforts. There are various other ways to lose weight—and lose health—as well, including chemotherapy treatments, cocaine addiction, not eating at all, and so forth. Just because you accomplish your goal of weight loss doesn’t mean you’ve done yourself any favors overall. Many diets fall into this category and simply focus on weight loss only, while ignoring the health risks that come with the diet. The HCG diet is one of those. You can read about the details of this diet in my article, The HCG Diet – Short TermWeight Loss, Long Term Health Risks. The crux of the matter is that health should always be at the center of anyone’s weight loss plans, not just simply the loss of weight itself. The pounds will naturally come off if you take care of your health first. The second major flaw with today’s weight loss programs is that they exploit the mythical belief in our society that counting calories or controlling portion sizes is THE solution to our weight loss efforts. Not true. In fact, it’s been proven that after six months on calorie-restricted diets, dieters reported “an increased desire to eat and a decreased satisfaction of appetite.”4 In other words, people are hungry and not enjoying what they’re doing. What happens when you’re hungry and don’t enjoy what you’re eating? You stop, right? That’s what most people do, and doing so sabotages their well-meaning weight loss efforts. 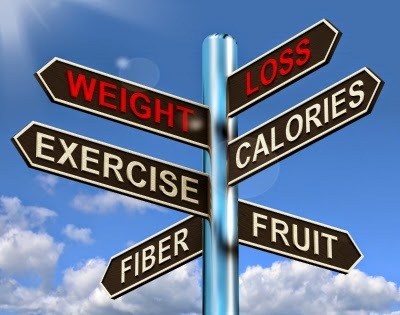 A look at long-term, calorie-restricted weight loss diets have shown that 80% of dieters fail to maintain their initial weight loss after one year, and 85% fail after five years on these diet plans.5,6 These diets are not designed for success, at least not in the long term. Your body was not made to starve itself. 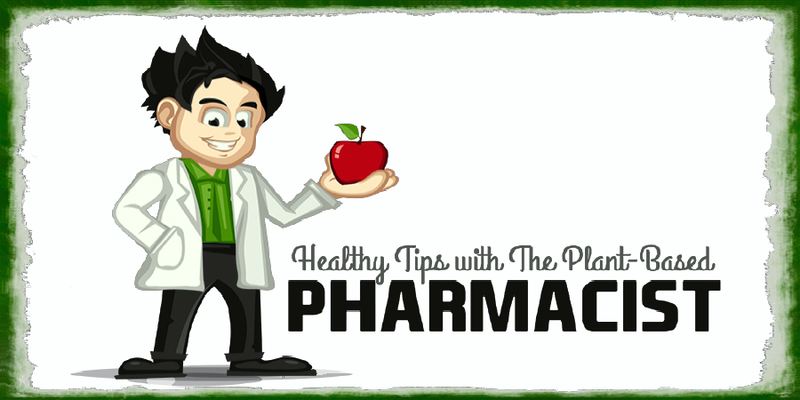 You need sufficient calories and nutrition to remain active and vibrant throughout your life. Withholding valuable energy from your body is like asking a racecar driver to win a 500-mile race without making a pit stop to gas up. It’s a failure waiting to happen. There’s a different way to accomplish your weight loss goals, and it doesn’t include deprivation. Lose Weight, Gain Health, Eat as Much as You Want. This is the title of chapter two of my book. It sums up everything a whole foods, plant-based lifestyle is. Notice the ‘eat as much as you want’ portion. You can eat as much as you want from a variety of fresh, whole, plant-based foods and not have to worry about becoming overweight or sick. Eating as much as you want satisfies your hunger. When your hunger is satisfied, you’re happy. When you’re happy, you enjoy what you’re doing more, and are more likely to stick with it for the long term. That’s why a whole foods, plant-based lifestyle works. You lose the weight without sacrificing the calories, and it’s been proven successful. 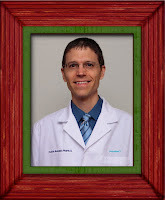 Neal Barnard, MD has done just this while trying to help others improve their health and lose weight at the same time. One of his studies compared the difference between a low-fat plant-based (vegan) diet versus the American Diabetes Association diet, and another study compared a low-fat plant-based (vegan) diet versus the National Cholesterol Education Program (NCEP) diet.7 When examining the data, study authors stated, “These studies suggest that very low-fat diets are effective in reducing weight and … may be sustainable over the long-term.” The first study lasted 74 weeks and the second two full years, making them both solid long-term studies to come to conclusions on weight loss. If you choose to switch to a whole foods, plant-based lifestyle you can expect the same results. You’ll lose two to three pounds of weight per week (sometimes more in the beginning) until your body reaches your ideal body weight. If you continue with this lifestyle you can expect to stay at a healthy ideal body weight for the remainder of your life. Exercise always helps, especially when initially trying to lose weight so don’t forget to get up and get moving! Modern day diets will come and go. If you take a close look at them, they’re all the same—portion control and calorie counting. 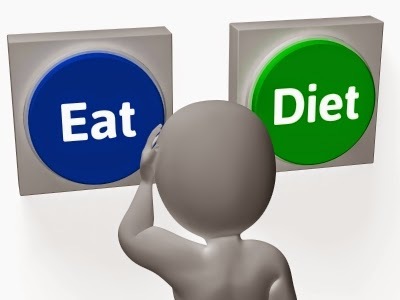 Don’t get caught up in the hype and false promises of these diets. They don’t work, at least not for the majority of people in the long run. Instead, think of your weight loss efforts as a whole health transformation that begins with health and ends with weight loss. You’ll be feeling great for the rest of your life! Remember, true success comes one day at a time. 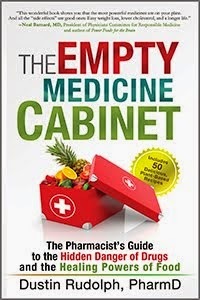 To help you reach your weight loss goals, I’m running a free giveaway contest for my book, The Empty Medicine Cabinet. 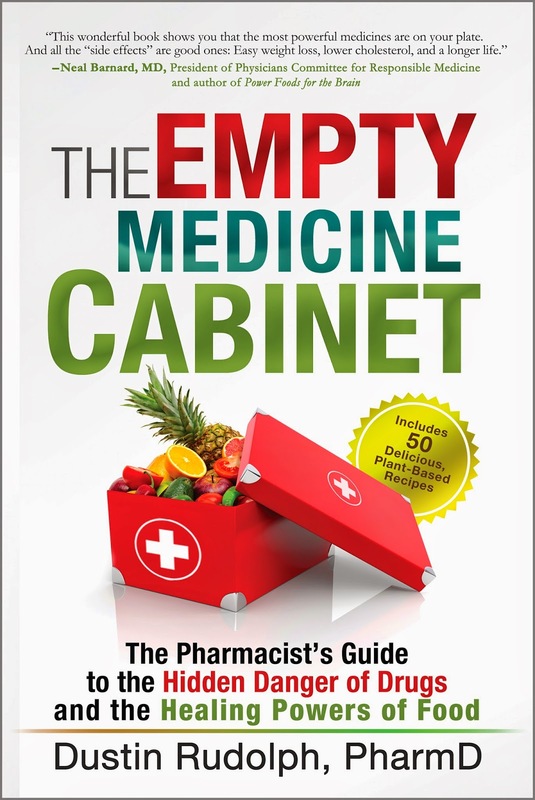 It has everything you need to know to start living a healthier, happier, and disease-free life. Enter below for your chance to win, and make sure to tell everyone about your new approach to shedding those unwanted pounds! 1 Ogden CL, Carroll MD et al. Prevalence of childhood and adult obesity in the United States, 2011-2012. JAMA. 2014 Feb 26;311(8):806-14. 2 Ng M, Fleming T, et al. Global, regional, and national prevalence of overweight and obesity in children and adults during 1980-2013: a systemic analysis for the Global Burden of Disease Study 2013. Lancet. 2014 Aug 30;384(9945):766-81. 3 Buxton JA, Dove NA. The burden and management of crystal meth use. CMAJ. 2008 Jun 3;178(12):1537-1539. 4 Redman LM, Ravussin E. Caloric restriction in humans: Impact on physiological, psychological, and behavioral outcomes. Atioxid Redox Signal. 2011 Jan 15;14(2):275-287. 6 Saris W. Very-Low-Calorie Diets and Sustained Weight Loss. Obesity Research. 7 Makris A, Foster GD. Dietary Approaches to the Treatment of Obesity. Psychiatr Clin North Am. 2011 Dec;34(4):813-827. I've tried many different methods of losing weight: Weight Watchers, Raw Foods Diet, Anti-inflammatory Diet, No Sugar, No Carbs, No Fat, Atkins, starvation. They all worked well...until I started couldn't stand another minute of them! Then the weight came right back on. I never really tried to lose weight because I didn't think I needed to. When I became vegan, I lost 5 pounds in 3 weeks and it really opened my eyes to ways I could improve my health. I lost about 20 pounds total after limiting oil and nuts in addition to eating a vegan diet. I've always been battling overweight since childhood though I've been vegetarian since birth. I also went though a bad phase of crash diets which did nothing but to dent my self worth. Reading wonderful articles gave me a new perspective about food. First I stopped counting calories. Then I started enjoying the food. A lot things changed. I fell in love with my food and myself. It's been a great journey. I'm 5'8 " and 140. Blog like yours tells exactly the kind of thing I started believing in. I look forward to reading your book. Before I learned about plant-based eating, I had counted calories and done Weight Watchers. I got burnt out counting calories and it was a real struggle for me to lose any weight with Weight Watchers. I did lose weight counting calories, but it was not an enjoyable way to lose weight. I wish I had learned about eating a whole foods plant based way of eating when I was in my twenties. Eating whole foods plant based has given me a new lease on life. I love it!